Saint Patrick's Day is still a few weeks off, but the related Irish invasion has already begun. Those who enjoy the music of the green isle have a couple of opportunities to hear some fine traditional Celtic tunes this week. First up is a Humboldt Folklife show Thursday at the Arcata Playhouse with Story Road, a trio from the Pacific Northwest featuring red-headed beauty Colleen Raney from the Seattle Irish music scene on vocals, guitar and bodhran (the Celtic frame drum), along with two-thirds of the Portland band Molly's Revenge: guitarist/mandola player Stuart Mason and fiddler John Weed. All three musicians have made the requisite pilgrimage to Ireland; while grounded in old world Celtic ways, they describe the band as "tradition forward." Story Road's monthlong St. Patrick's West Coast Tour comes to the Arcata Playhouse on Thursday, Feb. 28, showtime at 8 p.m. Tickets are $12, $10 for Folklife or Playhouse members. Reservations at 826-9240. "In its purest form, Irish traditional music speaks a universal language," says fiddler Martin Hayes, artistic director of Masters of Tradition on Tour, a collection of seven players "celebrating Irish music in its purest form." The American tour is an outgrowth of an annual festival, also known as Masters of Tradition, held every summer in County Cork, Ireland. Joining Hayes are vocalist Iarla Ó'Lionáird from Afro Celt Sound System, fiddler Cathal Hayden, guitarists Dennis Cahill and Seamie O'Dowd, accordionist Máirtín O'Connor and uilleann piper David Power. The musicians play solo, in duets, trios and larger group combinations. While they are masters all, Hayes notes that the music still remains somewhat rough-hewn, "with only the necessary amount of complexity to convey its musical message. The aesthetic quality suggests naturalness and unselfconsciousness and a desire for feeling that supersedes the need for technical polish." 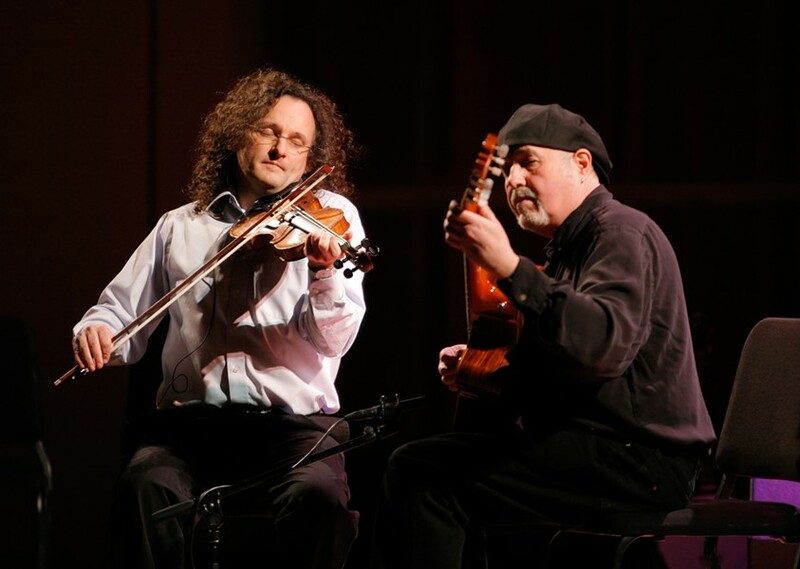 Masters of Tradition on Tour play at HSU's Van Duzer Theatre on Wednesday, March 6, starting at 8 p.m. Admission is $35, $25 for children, $15 for HSU students. Call 826-3928 for reservations.